Delhi has emerged as a hub for hair transplant both for Indians and foreign patients. Gone are the days when the idea of getting a medical procedure in a developing country was frowned upon. The availability of top-notch surgeons and reasonable costs have ensured a consistent flow of medical tourists to Delhi every year. Although, when it comes to hair transplant, the popularity of the procedure has resulted in mushrooming of clinics offering ‘cheap hair transplants’ in every nook and corner of the city. Do not jump into a decision about the surgeon or a clinic based on the first thing you find on the Internet. But like any other medical procedure, thorough research about the procedure itself, and on the clinics and surgeons is very important. You can start with a simple Google search, or join online forums to discuss both your hair loss and transplant options with other patients or doctors. 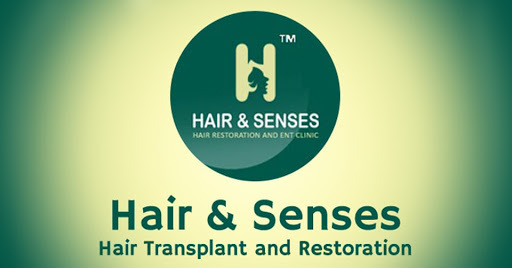 Hair restoration clinics in Delhi can be easily found online. Find as much information as you can about them on their websites, read the testimonials about the services that the clinics offer. Arrange a free consultation with them, and set up a session on Skype or over a call if you don't live in Delhi. You can also request the clinic for reference videos or photos of past surgeries, and before and after shots of other patients. It is best to get in touch with at least 4-5 clinics and then pick the best one. A good tip is to hold any kind of payment before the procedure itself. You can pay a booking amount and the rest post surgery. While cost is a major factor in choosing a clinic for both patients outside and from India, but it cannot be the only reason. Sometimes the advertisements from clinics can be very misleading. An important detail to remember, for example, is that one graft or hair follicle is equal to 2.2 hairs. Some clinics charge on the basis of the hair and not on the grafts. Which means that the procedure might cost a lot more than what it appears like. Sometimes clinics keep the conversation vague and don’t care to explain the difference between a follicle and hair. Make sure that distinction is clear before you sign up for the transplant. Secondly, don't compromise on quality. Just because someone comes cheap does not mean they are experts or experienced enough. A reputed surgeon may cost a little bit more perhaps, but they will also make sure that your hair transplant goes through without any hiccups and the end results are aesthetically pleasing. You could pick a surgeon based on affordability or convenience, but that won’t ensure a good transplant, the only thing that matters is the experience and skill of the surgeon and his team, for you to have the mane of your dreams. Again, owing to the popularity of the procedure, some cosmetic surgeons have started doing hair transplants, but it might not be a good idea to pick those over surgeons who specialise in hair transplants. Secondly, designing an aesthetically pleasing hairline is a job for someone who has perfected the art over years and a number of patients, it cannot be done by anyone. For best results, choose an experienced and reputed surgeon. Yes, there are many of those offering cheap transplants. It might sound unsettling but getting a license for a clinic is not that difficult in India, which means that many shady clinics exist, and they offer dirt-cheap prices for procedures. But as a patient, do a thorough check on the clinics that you choose, and make sure they are well-sanitized, hygienic, and well-equipped. You can also check that the clinic is legitimate and meets international standards in terms of facilities and surgeons. Apart from that, remember that Delhi can be hot, humid, and is densely populated. Therefore, make arrangements for your stay and commute before you travel. You can even ask the clinic to help you find accommodation close by, or use their facilities if they have them.